Making payments or purchasing items online is nothing new; the rapid growth of the Internet in the late 90’s changed the way Americans, and the world for that matter, conduct business. The accelerated adoption of Internet usage through the abundant supply of desktop computers, laptops, iPhones, iPads, and other connected devices has changed the business landscape forever. As 56K dial-up modems transitioned into high speed DSL and cable connections, the barriers for business to move online were lowered even more. Now, there is no reason why you shouldn’t have the majority of your business operations online, especially payments. From Amazon.com to Hotels.com, everything from retail to travel can be found and paid for online. From an operational standpoint, the World Wide Web provides greater efficiencies than ever possible before. 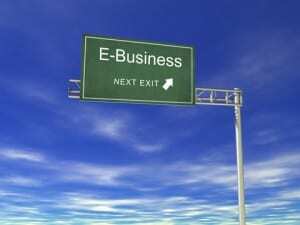 One of the most obvious advantages for businesses is online payments. Electronic payments, or e-Payments, are payments made either at a computer or over the mobile phone via the Internet. These payments are secure and automatically transferred from the payer’s bank account or credit/debit card to the payee’s bank account without the hassles of dealing with paper checks. Over the past decade, as more and more people became comfortable with paying bills and making purchases online, the Internet industry boomed. People now manage their entire finances online and expect businesses to offer billing and payment options over the Internet. Luckily, 99% of businesses matured and adapted to the growing needs of consumers. However, there is still one huge industry which represents the last check people write – the multifamily apartment industry. If you are reading this article right now there is a high probability you are a part of this industry. With that said, it is your duty to help bring our industry into the digital age. The technology is readily available, the consumer demand is higher than ever, and there are third party vendors like RentPayment which will guide you through the process and help you setup an electronic payment solution. If you’d like more information about accepting electronic payments, you can learn more about the benefits and how it all works by reading a recently published white paper, Rent in the 21st Century (Click here). Now is the time to switch from paper checks to electronic payments and let’s finally do away with the checkbook for good. This article was written by Kris Rudeegraap, Marketing Coordinator for RentPayment. For more information visit www.RentPayment.com or email krudeegraap@RentPayment.com or call 1-866-289-5977 ext 212. See our feature, Behavioral Economics: The Science of Paying Rent.